This content, including news, reviews, advice, letters, editorials, interviews, advertisements and other information contained on Saint Lucia Basketball Federation website, are not necessarily the views of Saint Lucia Basketball Federation. Saint Lucia Basketball Federation, the publisher of Saint Lucia Basketball Federation, its affiliates and partners, does not make any representations or warranties with respect to the accuracy or the completeness of the contents of directories, calendars or on other linked sites and specifically disclaims any implied warranties of merchantability or fitness for any particular purpose, and shall in no event be liable for any loss of profit or any other commercial damage, including but not limited to special, incidental, consequential or other damages resulting from a user’s use of, transactions based upon, or reliance on information obtained from Saint Lucia Basketball Federation, or any site to which it links. Saint Lucia Basketball Federation, reserves the right to add, edit or omit information from Saint Lucia Basketball Federation at its sole discretion and without need for prior consent or notice. Nothing contained in calendars or directories represents a commitment or endorsement in any way on the part of Saint Lucia Basketball Federation. Any comments or materials sent to Saint Lucia Basketball Federation including feedback data, such as questions, comments, letters, editorials or suggestions shall be deemed to be non-confidential even if you tell us that you think that they are private and confidential. Saint Lucia Basketball Federation shall be free to reproduce, use, disclose, exhibit, display, create derivative works and distribute anything received without restriction or obligation of compensation.  Saint Lucia Basketball Federation shall also be free to use any ideas or concepts provided to maintain it’s web site. By using this Saint Lucia Basketball Federation website you agree to be bound by the terms and conditions set forth in this User Agreement.  Saint Lucia Basketball Federation reserves the right to change these terms and conditions at any time without notice to you and you must consult the most recent version of this User Agreement each time you visit this website. Saint Lucia Basketball Federation provides users access to an extensive amount of resources through this website. Saint Lucia Basketball Federation makes no warranties of any kind regarding this website, including but not limited to any warranty of accuracy, completeness, merchantability, fitness for a particular purpose or that this website is free of viruses and such warranties are expressly disclaimed.  Saint Lucia Basketball Federation logo, and other marks are registered trademarks of Saint Lucia Basketball Federation and may not be used by third parties without the express written consent of Saint Lucia Basketball Federation. Saint Lucia Basketball Federation may provide links on its website to other websites which are not under the control of Saint Lucia Basketball Federation. User acknowledges that information and opinions contained in this website or other websites that are linked from this website are not necessarily those of Saint Lucia Basketball Federation or endorsed by Saint Lucia Basketball Federation. User acknowledges and agrees that he, she or it shall hold Saint Lucia Basketball Federation and its publishers harmless from all claims arising out of or related to his, her or its use or inability to use the information provided on this website or other websites that are linked to this website. Saint Lucia Basketball Federation has its primary office in Castries, Saint Lucia. By accessing this website, user agrees that the laws of the Saint Lucia shall apply to all matters arising from or related to this website without regard to conflicts of laws principals. User hereby submits to the exclusive personal jurisdiction and venue of the Municipal and/or Superior Courts of of the Saint Lucia. We are deeply committed to protecting your privacy and take all reasonable steps to protect all data and information supplied to Saint Lucia Basketball Federation. We protect your privacy in a variety of ways including using industry accepted security measures to protect against the loss, misuse and alteration of data used by our system. Saint Lucia Basketball Federation collects data from Internet users including non-personally identifiable information from its site’s visitors, IP address of their server and what pages they visited. We use this information to continuously improve our site’s functionality. Saint Lucia Basketball Federation also collects personally identifiable information, including e-mail addresses, from those visitors who opt-in to receive some information from us, make inquiries or comments. We use this information to directly respond to visitors’ communications. If a customer joins our online marketing program, they typically submit some personally identifiable information to participate in this program. Keeping your personal information secure is a top priority for us. Therefore, Saint Lucia Basketball Federation utilizes 128-bit Secure Socket Layer (SSL) technology, the industry’s leading data security solutions, and has implemented policies and procedures to ensure the physical and electronic security of data stored by Saint Lucia Basketball Federation. Saint Lucia Basketball Federation employs permission-based marketing principles: it requires its staff to communicate only to users who affirmatively express an interest in receiving e-mails. Permission to receive e-mails may be granted and taken away; in other words customers may “opt-in” and “opt-out”. If a visitor chooses to opt-out, Saint Lucia Basketball Federation is required to stop sending messages to that customer. Saint Lucia Basketball Federation puts a high value on a visitor’s ability to discontinue receiving unwanted e-mail.